Kent Present a UV RO with purified water storage tank. Kent Maxx Have Double Purification facility with Smart Design. 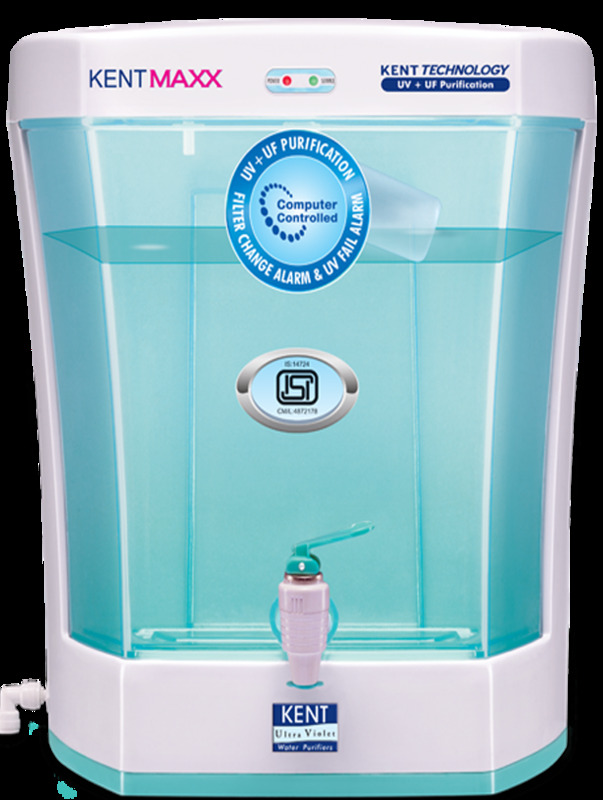 Kent Maxx Have 7 Liter Purified water storage tank .Kent Maxx Have double purification technology ( UV + UF ) Kent Maxx is Designed to Wall Mounted Water RO Water Purifier . Kent Maxx Have 60 L / hr or 1 L / min Purification Capacity .